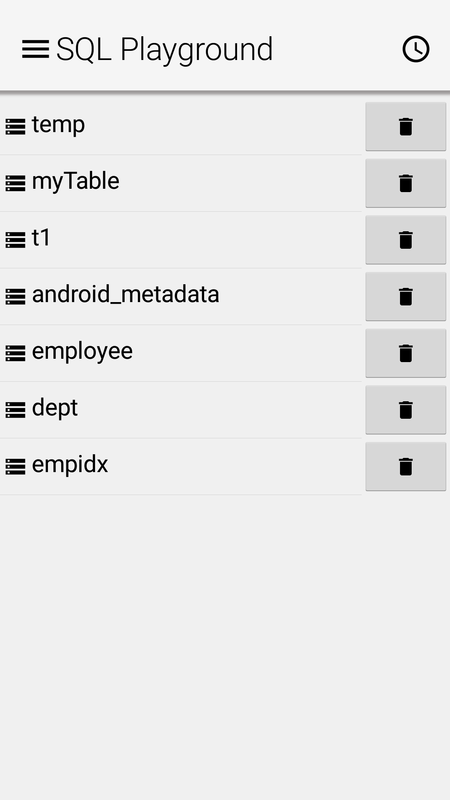 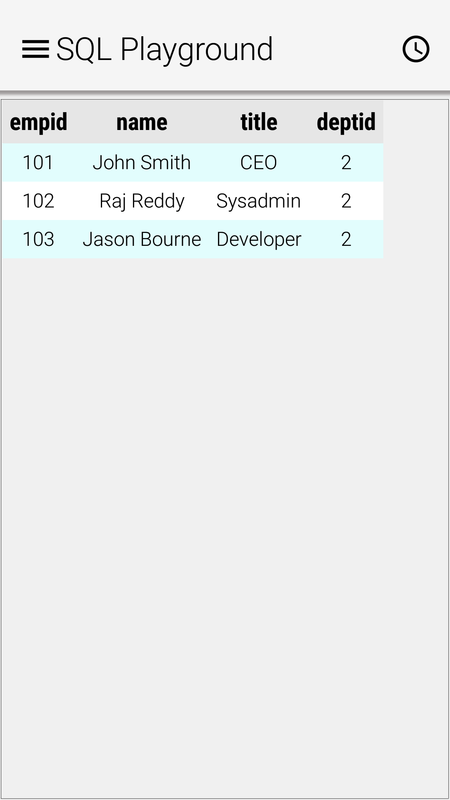 The SQL Playground app shows off some of the SQL capabilities of Codename One and sqlite. 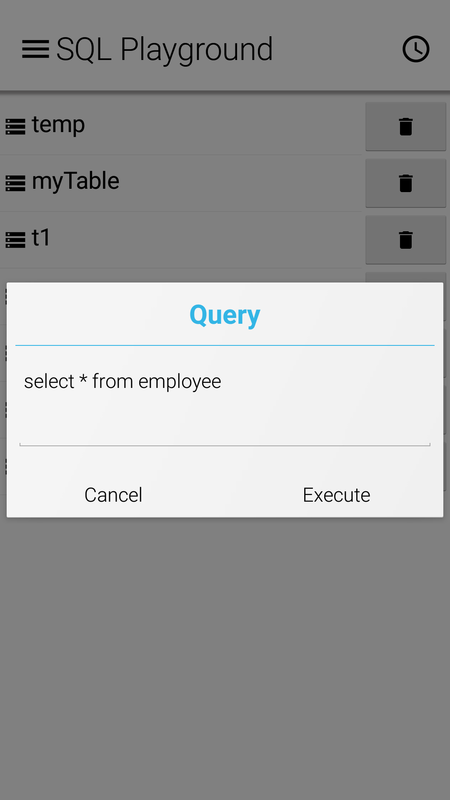 It provides the ability to issue arbitrary SQL queries and view the results. 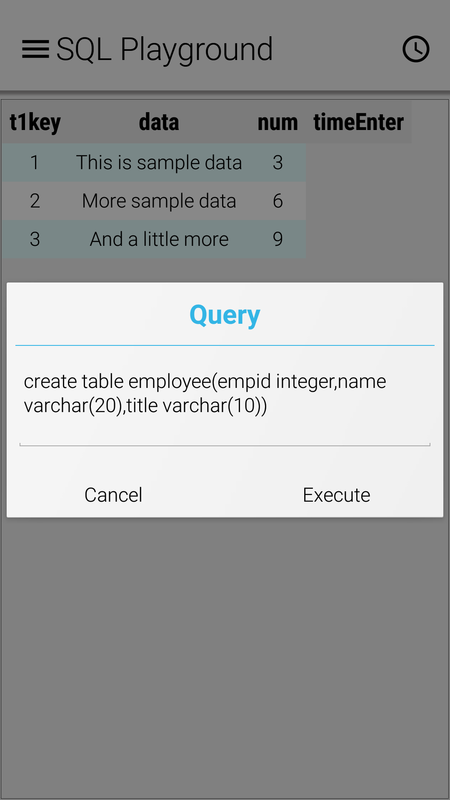 It also provides a tutorial mode with some sample queries.